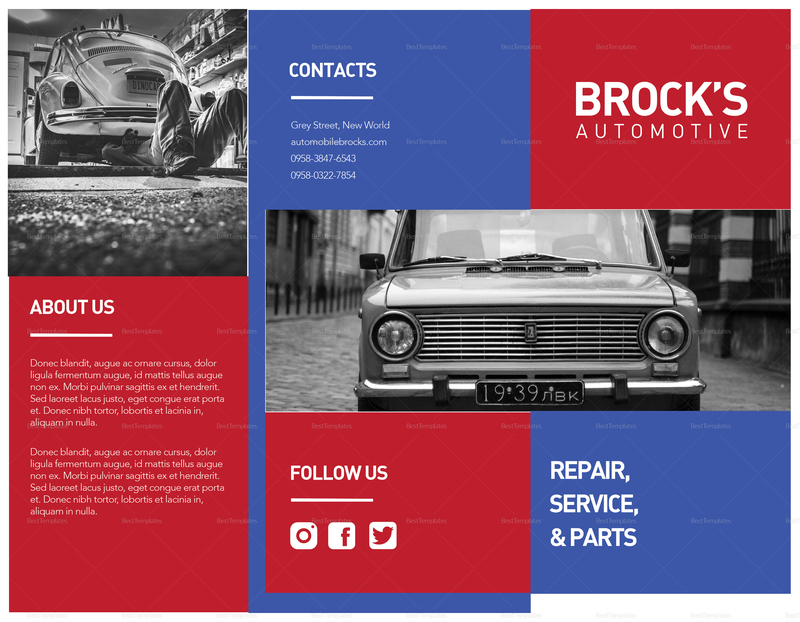 Get more cars coming into your garage with this Automotive Tri-Fold Brochure Template. 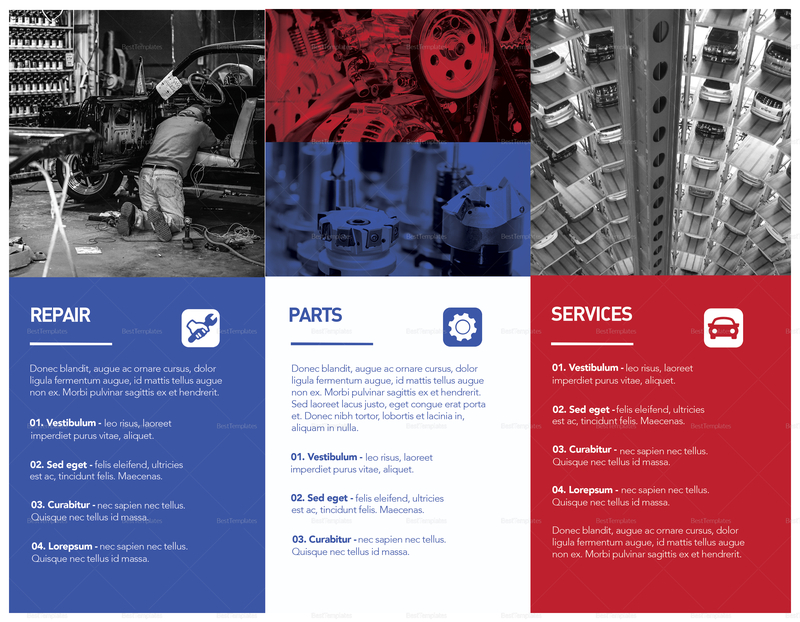 Download now to get instant access to this professionally drafted brochure created for the specific needs of the industry. Use Illustrator, InDesign, MS Word, Photoshop, or Publisher to edit the template. 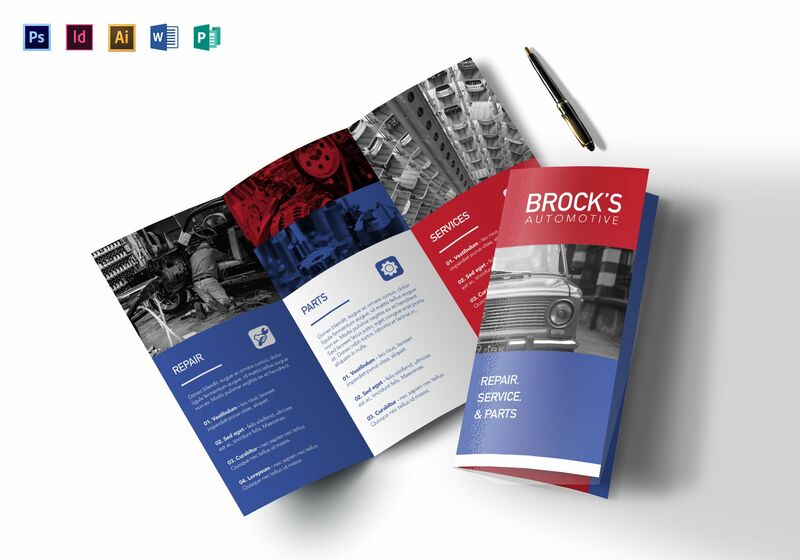 Get the convenience of being able to print at home or through commercial printing services.